Artwork details: gouache, 14 x 19.5 inches (36 x 50 cm), 2012. 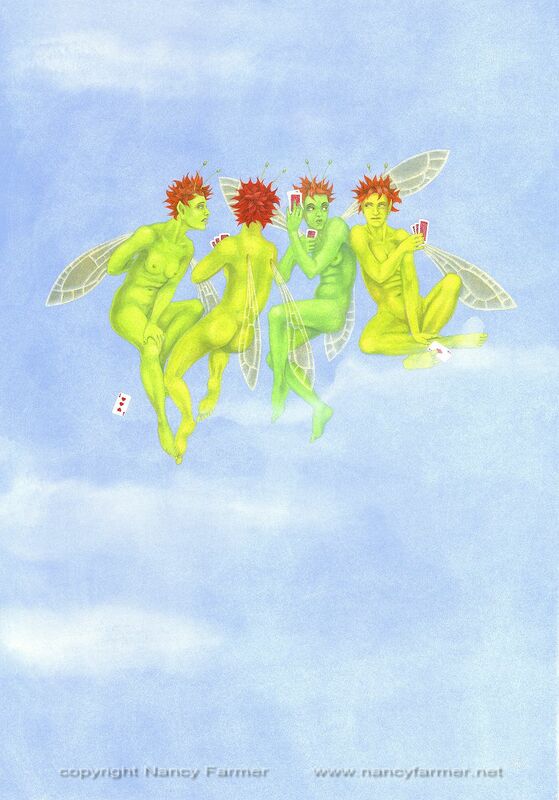 This was the painting for April for the 2012 fairy calendar: 4 fairies for the 4th month. And 4 seemed abut the right number for a card game, so that is how the subject came about. 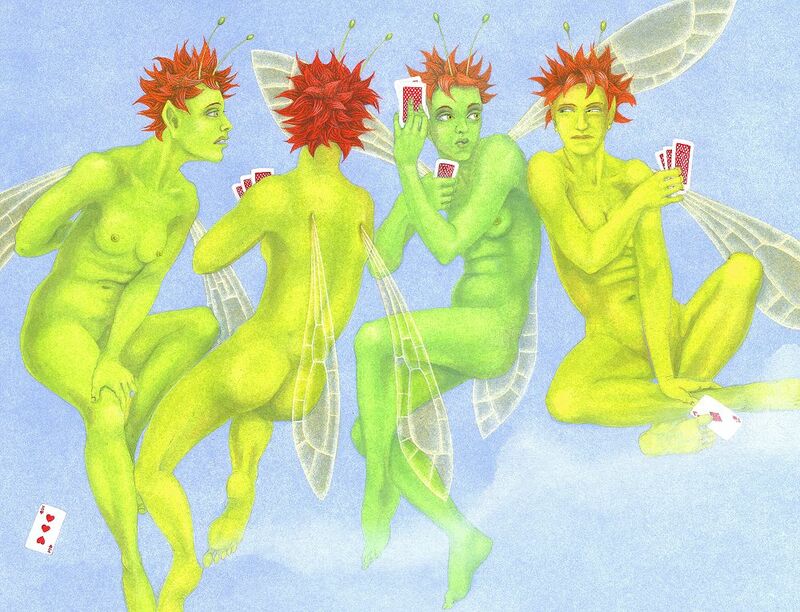 Fairies, of course, always cheat at cards, and these are cheating most blatantly. However, some of them seem a little indignant at the cheating of others, hence the (possibly slightly awkward) title of 'Unrighteous Indignation'. Above is a close-up of the main part - below is the painting in its entirety.